Starting a small business comes with plenty of challenges. For example: what happens when you’re not quite as small any more? We spoke to Nora Livingstone of Animal Experience International (a Best Overall and Best for the Environment honoree in 2015) about what happened when her company hired its first employee. Only in its third year, AEI now places around 150 volunteers a year on five continents, up from only twenty placements in 2012. Livingstone was thrilled at the growth, as was her co-founder, veterinarian Dr. Heather Reid — but suddenly the workload was more than the two could handle on their own. “It made sense to focus on client relationships, which meant we were going to need three people, not two. When it got busy, Heather and I sort of looked at each other, like, ‘Is this when we hire somebody?’” But as an anthropologist and a veterinarian starting their first business, neither was sure how to go about adding employees to their two-woman show. In search of guidelines for how to treat workers right, Livingstone and Reid turned to the B Impact Assessment. When they had taken the BIA as part of their 2013 B Corp certification, they had not been eligible to go through the Worker Impact section — now, they returned to the Assessment with an eye towards instruction, not evaluation. Sample BIA Worker Impact question. Livingstone and Reid used the B Impact Assessment to structure their policies not in order to gain a higher score, but to make sure they were getting a comprehensive viewpoint. Going through the Worker Impact section introduced Livingstone and Reid to practices they might not have considered — including ones that go beyond what’s required of them by Canada law. As a Canadian business, AEI was automatically offering two weeks time off and healthcare for full time workers, but the BIA introduced the soon-to-be bosses to the concept of offering additional paid time off for volunteering — a practice directly in line with the company’s mission that Livingstone hadn’t considered. The number one takeaway Livingstone had when it came to being an ethical boss was about creating policies for employees. “We wanted to make sure that there was transparency throughout the company, and there was the open door,” she said, highlighting the importance of taking what had been shared knowledge between two partners and making sure it was accessible to newcomers. 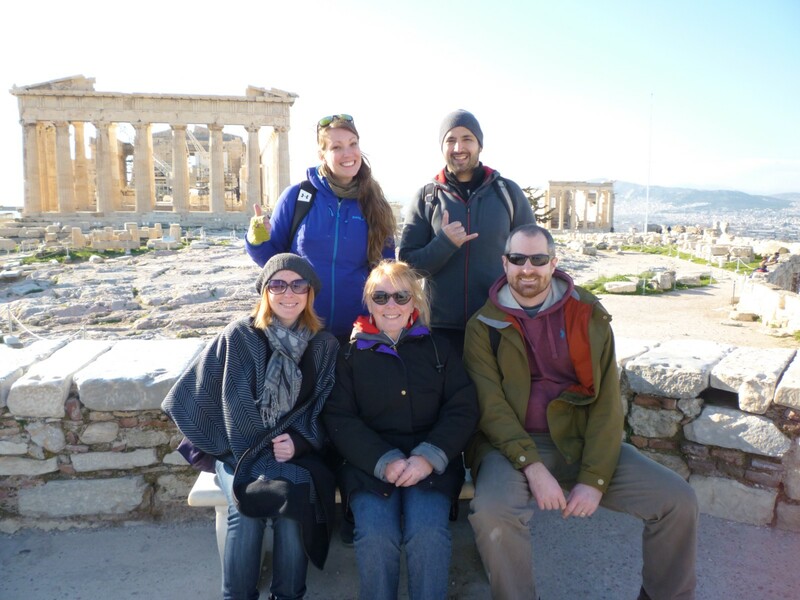 AEI’s new employee Avi (top right) leading his first expedition in Greece with co-founder Nora (top left). Preview the Worker Impact section of the BIA or sign up for your own free B Impact Assessment account. For more ideas on how to improve your company’s worker impact, check out the B Corp Handbook or our free online Best Practice guides about creating an employee handbook, worker benefits, and employee wellness.